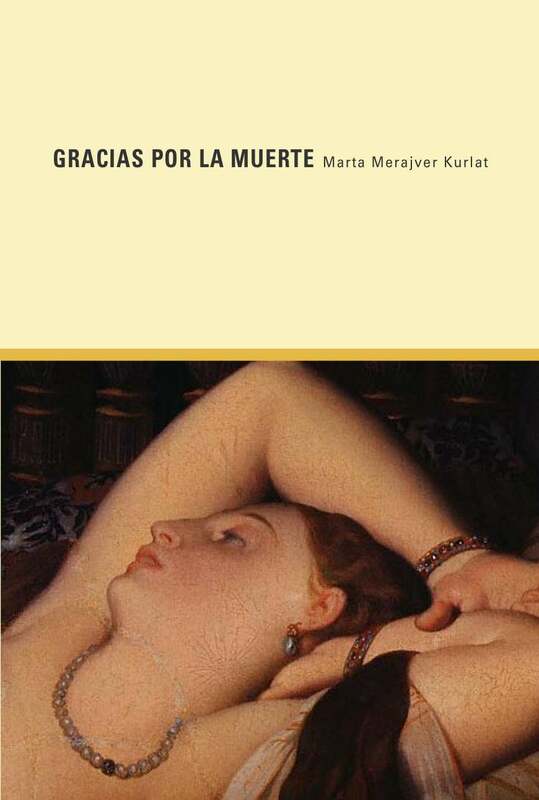 Gracias por la Muerte : By Marta Merajver Kurlat A book in Spanish. Sylvia Meyer, a successful lawyer, had committed suicide. This drives her son Lucas to trace back the paths that may provide him with clues to find answers beyond her factual decision to die. He suddenly realizes that he did not actually know neither who his mother was or how she had lived. A counterpoint of past and present voices whispering into his ears outline a tormented image in which the blending of background and figure enables us to recognize masks that we all perhaps wear but dare not name. MARTA MERAJVER KURLAT was born in Buenos Aires, Argentina. An early attraction to the ways in which mankind tells its own history encouraged her to undertake studies in myths, language, psychology, and psychoanalysis. After spending several years in Europe, with brief sojourns in the U.S., she returned to her homeland, where she works as a translator and teaches English and American language and literature.